A week ago we finally got the first real trailer for the new DuckTales series! We’ve seen a couple of promo images before and had a teaser video with the voice actors, but this is the first look at the animation and what to expect from the stories. We got a lot of hidden clues and references to the comics in the trailer, so I’ll do a little breakdown of some the things I noticed. 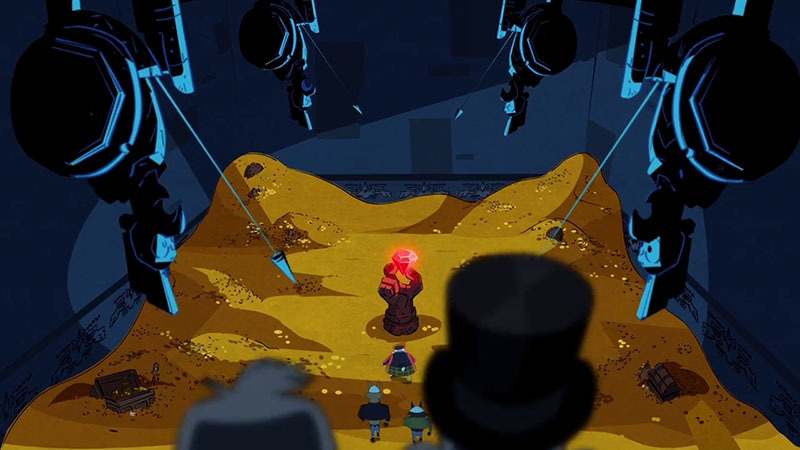 The first scene we see in the trailer is Scrooge’s money bin, or McDuck Manor as they call it. From some of Barks’ stories we know that he has more than one bin, but apparently he has moved from Killmotor Hill to an island. The new money bin looks more like a fortress I think and seems to be a combined mansion and money bin. 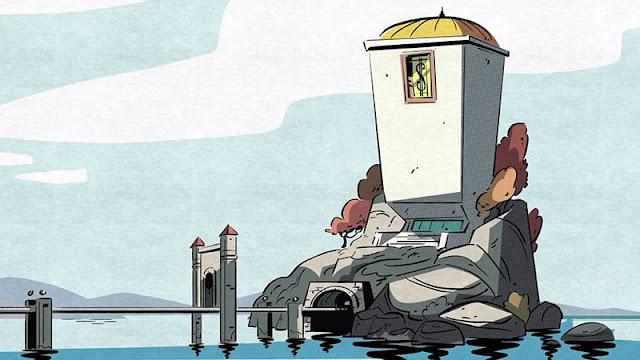 But the design looks closer to how the bin looked in the old DuckTales series (and with the roof like Italian comics) and not with the flat roof we usually see in the comic stories. In the first comic stories with Scrooge, he lived in a mansion – which he also did the original DuckTales series and when Don Rosa created The Richest Duck in the World, the story where Huey Dewey and Louie meet Uncle Scrooge for the first time. 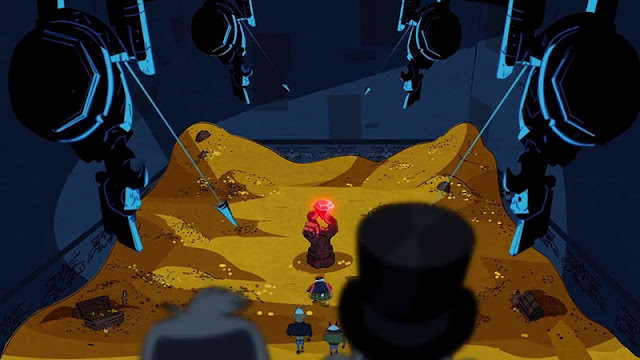 As the they meet Scrooge for the first time in the trailer too, I guess we got it confirmed that the new series really is a "reboot" and not a continuation of the previous series. After the boys have been introduced to Scrooge, we see the some of the interior and the first direct references to Carl Barks work. The first painting we see is actually modeled after a real paining called Pick and Shovel Laborer by Carl Barks. I believe the castle in the next scene is Castle McDuck from The Old Castle's Secret, and then we have a couple of more paintings by Carl Barks. The first one is called Always Another Rainbow and the other one is an unnamed painting from 1972. 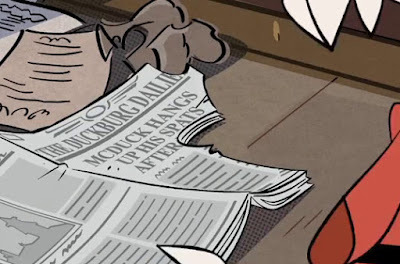 Castle McDuck in "the Old Castle's Secret"
The boys make a comment about Scrooge saying "you used to be a big deal" while we see a torn newspaper in the background with the headline "McDuck hangs up his spats after …". So apparently something has happened making him give up the treasure hunting and business adventures. 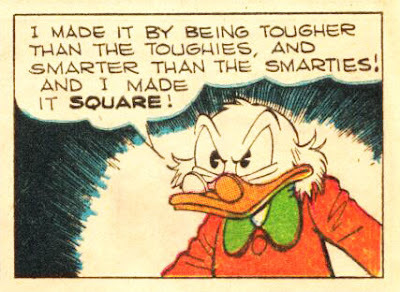 Scrooge replies by saying "I made it by being tougher than the toughies and smarter than the smarties", a quote from the comic story Only a Poor Old Man but also used in the original DuckTales series. While Scrooge live in a mansion/money bin, it looks like Donald is living on a houseboat, exactly like he did in his very first appearance in The Wise Little Hen. Webby seems to be a real nerd and quite different from the original DuckTales series. And it looks like she is already living with Scrooge. On her note board we can read something that looks like "Terri-Fermians sighting!". The Terries and Fermies (from Land Beneath the Ground) were called "Terra-Fermians" in the previous DuckTales series. So maybe we’ll see them again in this series. Webby's note board with "Terri-Fermians sighting!" in the upper part. Then we get to see scenes from some of the adventures we are going to get in the first season. First we have a ghost pirate that some people think look like LeChuck from Monkey Island. I’m not sure I agree, but that would be the most awesome crossover ever! I guess Disney Interactive has the rights to Monkey Island now, so it could theoretically happen. 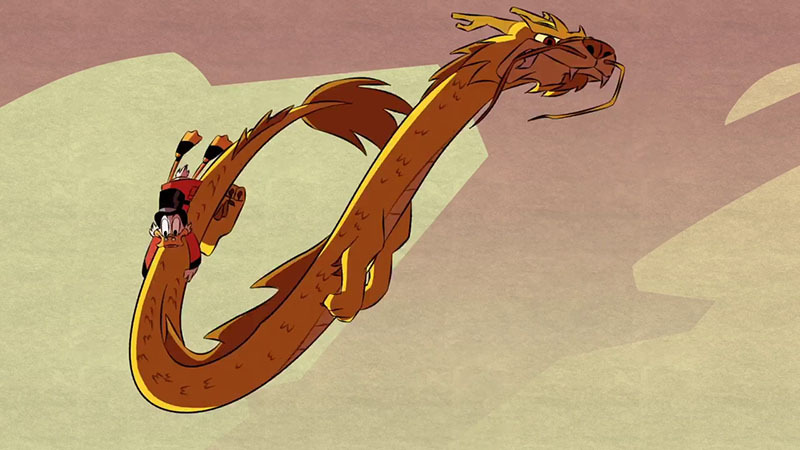 Then we see Scrooge riding a Chinese dragon. 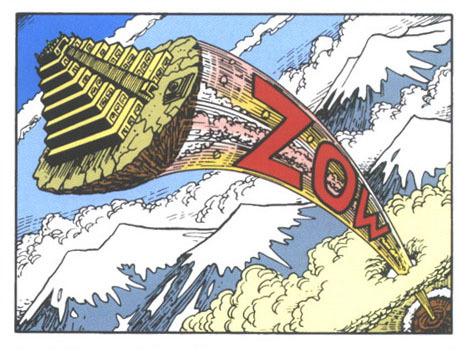 And we get a glimpse of Flintheart Glomgold heading towards a huge ruby. And we have an underwater adventure, where we see an upside-down temple with a huge piece of rock – that looks a lot like the Temple of Manco Capac from Don Rosa’s The Son of the Sun! 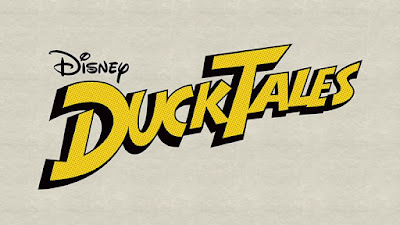 With all the comic references and adventure stories the trailer is teasing, I’m really excited about the new DuckTales series! Great analysis, and seeing screenshots allows people to notice things that may be missed with a video. For example, I didn't notice that Donald has an house boat like in "The Wise Little Hen". I'm not too happy of that: I would have preferred his standard house from the comcis. 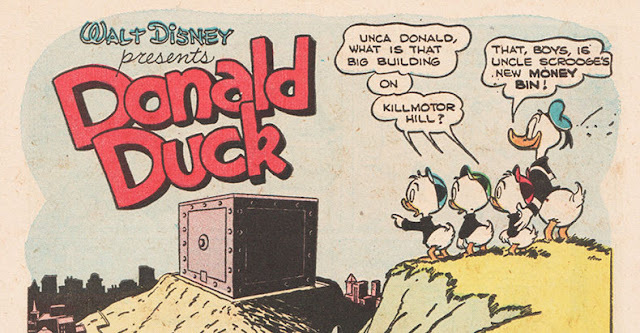 As for "McDuck Manor", I hope that they do like in "The Life and Times of Scrooge McDuck", in which Scrooge says (at the end of part 12) that he will sell the manor quickly and (re-)start living in the Bin. Alternatively, I hope they do like in the old series (and most Egmont stories) where he lives in the mansion and works in the Bin. What I definitely hope won't happen is that McDuck Manor is also his Money Bin. Ops, I accidentally copied and pasted a paragraph from your post at the end of my text, without deleting it before publishing the message. Blogspot's way of writing messages is not very useful to spot these things. 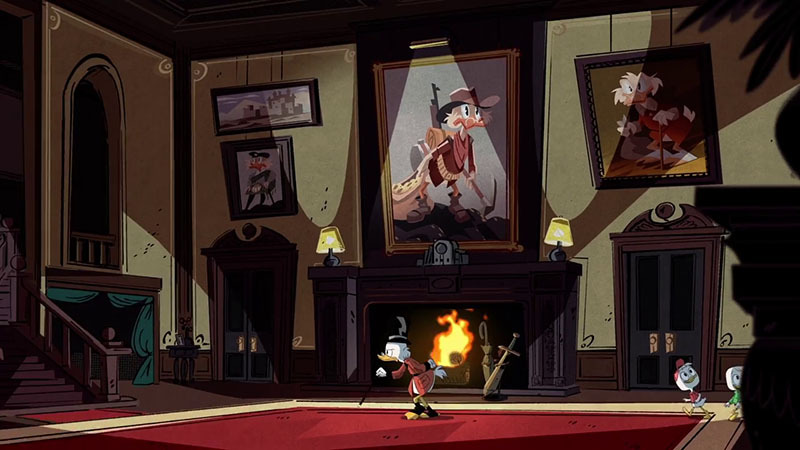 In the last DuckTales tv-series Scrooge lived in a mansion too, but worked in the bin. So it was two different locations. From the trailer it looks like both are the same (and on an island) in the new series, but I guess we have to wait to know for sure. Also I haven't seen any pics or videos with Beakley or Duckworth yet. 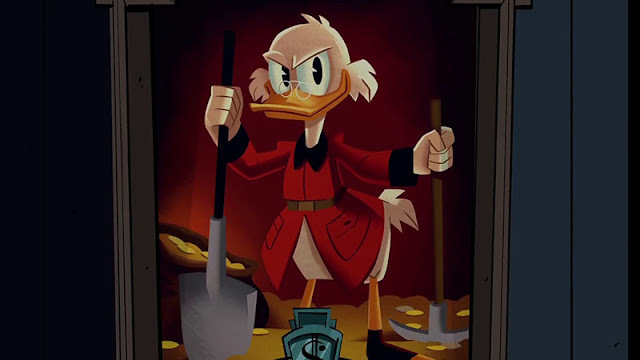 But if Webby is living with Scrooge, I guess Mrs. Beakley must be working there too. Indeed, it looks like they are the same, but I hope this is not the case as Killmotor Hill (regardless of whether it is called by that name or remains unnamed) is just too much of an iconic image for the location of the Bin. A Bin on an island? No thanks. But like you said, we have to wait to know for sure. "Also I haven't seen any pics or videos with Beakley or Duckworth yet." Actually, we DO get a glimpse of the new Mrs. Beakley – full-figure, even – at around 00:18 in the trailer (a little later in the same shot that you posted a picture from with the caption "More paintings in the trailer"). I never cared much for this character in the old DuckTales show, and would honestly have preferred to see Miss Quackfaster/Typefast from the comics instead of her. But maybe the new series can somehow manage to make her more tolerable and/or interesting. By the way, great analysis of the trailer -- you spotted several details I either didn't see or didn't give much thought to. :) Oh, and did you catch the latest Donald-centric promo posted by Disney XD, titled "Donald Duck's Tales"? https://www.youtube.com/watch?v=hj37D64hWQc Simply beautiful animation, better than what we see in the main trailer. Ah, thanks! I watched the trailer in slow motion trying to spot Easter eggs or small details, and even then I completely missed the fact that Mrs. Beakley was in there! Yeah, I saw the new Donald-promo. I hope they do more like that one, that isn't just a bunch of random clips from upcoming episodes, but that are fun to watch on its own too. We don't get much new details in the promo, but we see the background scenery for a lot of locations I guess the adventures take place. This includes a jungle (with The Phantom's skull cave in the background?? 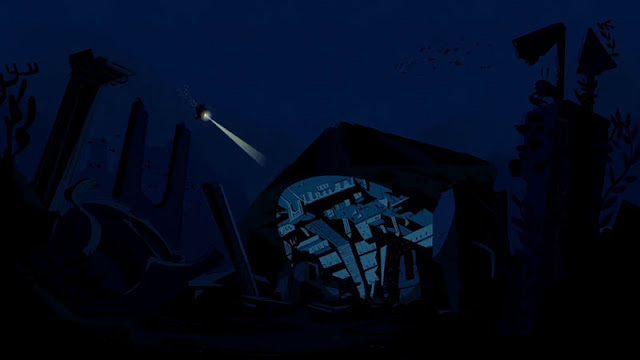 ), a desert, a circle of stones almost like Stonehenge, African plain, a Chinese fortress, a snowy area, underwater, a volcano, inside a cave… So it looks like they are going to travel all over the world. "I never cared much for this character in the old DuckTales show, and would honestly have preferred to see Miss Quackfaster/Typefast from the comics instead of her." Like you, I also don't care for Mrs. Beakley and the other DuckTales-orignal characters, however the old series did have Miss Quackfaster, even though she was renamed "Mrs. Featherby". 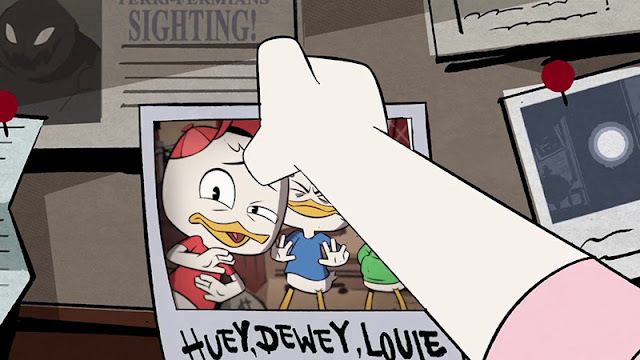 As for the other DuckTales characters, yeah; I never liked Webby much either. And Bubba Duck and Fenton Quackerduck were pretty terrible ideas for the series too. Launchpad McQuack I find a relatively decent character by comparison, though it always annoyed me how he took the place of Donald. I think your 'Manco Capac Temple' could also be Barks's Atlantis.